I have learned a lot about visual communication design by assisting and working with design companies from a variety of creative media industries. 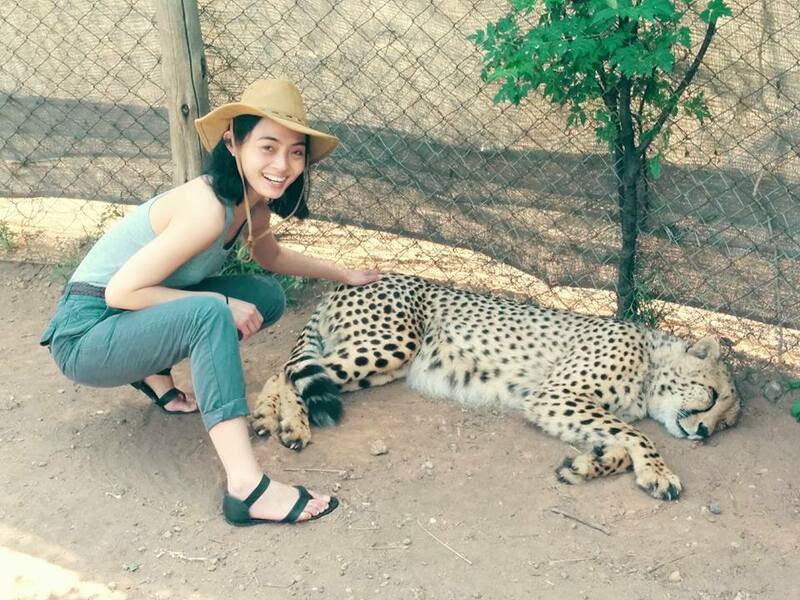 I gained valuable experience over the years by working for clients such as Time International Indonesia, Garuda Indonesia the national airline of Indonesia, and on projects for magazines as well as advertising. Besides that I create personal designs for my clients, such as brand identity designs, event campaigns and also book illustrations. I am passionate to create artworks that can be applied in different media and that also create a smile on people’s faces. I believe that a true work of design must be able to deliver a message, generate surprises, and inspire people. This perspective has pushed my boundaries as a graphic artist, therefore working closely with London designers through work placement in the fashion industry has boosted my skills to create art pieces considerably. My advanced knowledge in apparel industry, keenness to understand brand, trends and consumers has made me a versatile designer who knows her way around a broad range of industries that allow me to use my whole skill set to come up with imaginative solutions for every project. 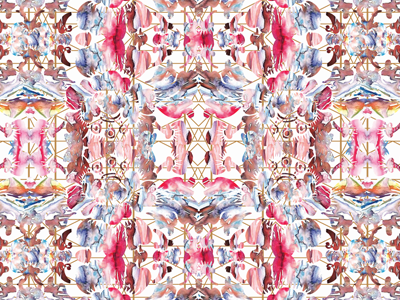 I am an independent designer with a degree in Graphic Design and MA in Fashion Textiles and Surface Design. I am currently based in Montreal. Before my recent move to Canada I was working with designers and creative textiles makers in London. As a freelance graphic designer, I am handling several diverse local and international creative projects. It is such an ultimate pleasure to enjoy the process of making and creating. There is no limits in regards to being creative and I found myself delighted working with different people in the creative industry, in fact these experiences enrich my design pieces. With a burning passion in crafts, designs and lifestyles I am excited and ready for every new challenge that comes my way. My skills are spread across a wide variety of project types. In graphic design I got extensive experience with catalogue and brand identity design (logos, letter heads, name cards) as well as campaign designs (posters, flyers, campaign material) and last but not least I a have a true passion for children book illustrations. I am delighted to have the opportunity to do a collaboration with an Indonesian author to make illustrations for a children book project about Orangutan 'Si Pirok ke Kota' or ‘Pirok Goes To the City’ . It was launched in London, May 2014. The book is a story of Pirok, a curious little Orangutan who lives in the rainforest of Indonesia. One day he ends up in a basket belonging to a boy who was picking fruit to bring back home in town. The book tells the story about what happened to him. The purpose of this book is to introduce different types of Indonesian flora and fauna to children from young ages between 3 to 9 years old. The storybook was written in Bahasa Indonesia and English in order to reach not just Indonesian speaking children but also an English speaking audiance.For the design, I used a water marble technique incorporated with real pictures and computer graphic techniques to make this book attractive to read. 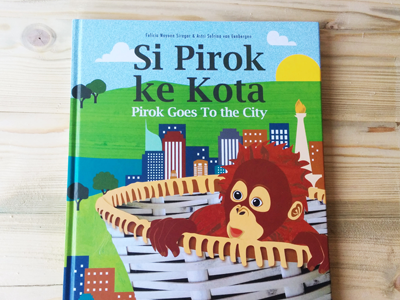 The Indonesian Education Attaché’s Office in London has bought 500 copies of the 1st edition of ‘Si Pirok ke Kota’/‘Pirok Goes To the City’, and is being distributed for free to primary schools in the UK. I am currently working on illustrations for the second book in the Pirok series. A children book project commissioned by Garuda Indonesia - the national airline of Indonesia, launched in London, March 2015. 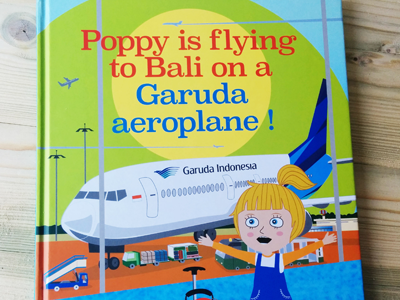 I created the illustrations for the children book ‘Poppy is flying to Bali on a Garuda aeroplane !’ , commissioned by the London head office of Garuda Indonesia, Indonesia’s national airline. The story was written in English and used to promote their new direct flight from London to Bali, Indonesia. The book is an adventure story about a little girl named Poppy, it is her first time flying on an aeroplane, together with her mother they go on holiday to a small beautiful tropical island, Bali in Indonesia. Evidence & Analytics is a new company that specialises in business research and data analytics. The identity that I created for the client has a modern look, yet remains relatively simple as the brand’s expertise is in providing readable output from data research, using charts and graphs as their medium. I chose a warm colour palette in order to give a friendly feeling as well as a humane touch to the overall look of the brand identity logo. 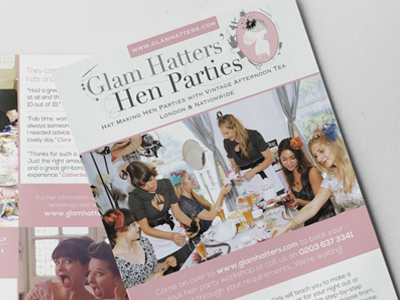 Besides the main logo the design also followed by the letterhead, envelope and business card. 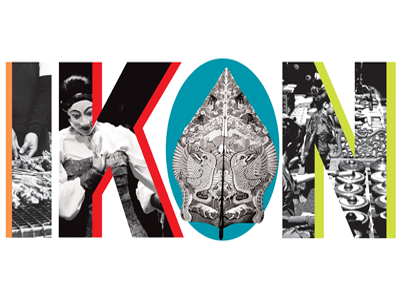 Indonesia Kontemporer or IKON is a cultural festival hosted by ARTi UK which is a non-profit organisation aiming and promoting Indonesian arts and culture within the UK’s cultural diversity. 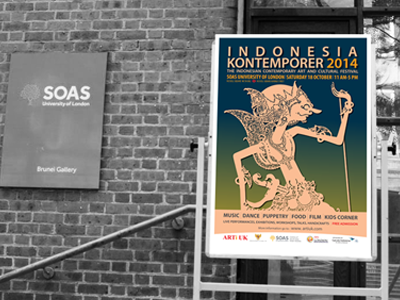 I designed promotion and advertising materials to showcases Indonesian culture through the Indonesian Kontemporer 2012 event in London -UK. 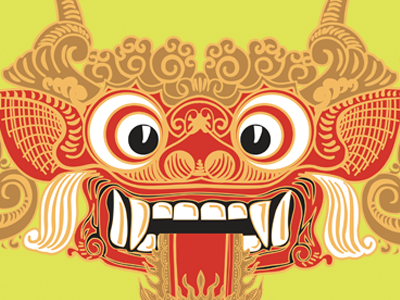 Borrowing from the Balinese tradition I illustrated this barong figure, as the eye-catching element, it features interesting graphic and mixed typographic elements to make a big public announcement. The event coordinator entrusted me to make campaign materials for IKON 2014 after the success of the Indonesian Kontemporer 2012 festival in London. To cherish this opportunity, I presented a traditional javanese shadow puppet as the cultural icon of this year. The puppet character itself was inspired from a very popular Indonesian shadow puppet story about the Gatotkaca legend - a mighty knight that has magical powers such as the ability to fly. I am honoured to design the campaign add of IKON 2016 for the 3rd time. I created a bold poster with a straightforward approaches this time around in order to spread out the brand throughout London. Time International is an exclusive retailing or an authorised sales to over 40 of the most well-known brands in the world of timepieces and lifestyle products. 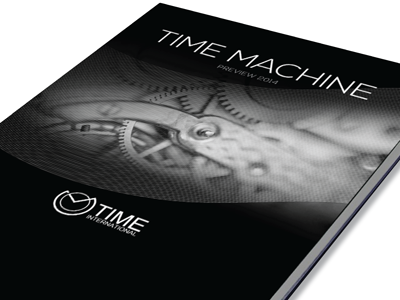 This is a preview catalogue of the 2014 watch collections I created for the client - Time International in South East Asia. The watch collections are presented as exquisitely as the brand itself, I executed the design based on the product guideline and the characteristic of the brand. 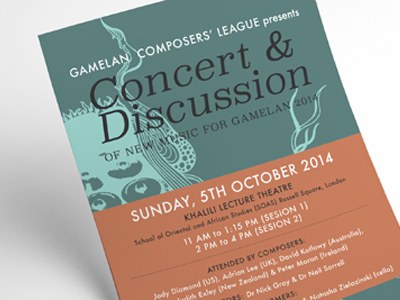 This is a bespoke flyer I created for a client which his profession is a Gamelan teacher and together with SOAS University of London - Centre of South East Asian Studies he hosted a concert & discussion event in 2014. Waroeng Bakoel Yanti is a local catering business in the Netherlands - The catering proudly serves an authentic Indonesian cuisine through personal and corporate events or just normal take away. I illustrated a figure of Indonesian lady wearing a traditional Indonesian outfit named kebaya carrying a rattan basket filled with rice in it. ‘Bakul' original meaning is rattan basket for serving rice in Indonesian culture, with the Dutch influence of spelling, the term ‘Bakul’ becomes ‘Bakoel’. On top of that, rice is the essential aspect in the Indonesian culture and most native Indonesians eat rice as the main dish, with a wide range of vegetables and meat as side dishes. The overfull rice on the logo represents fertility, sanctity and good feelings. 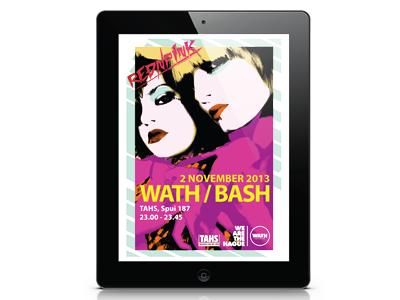 These ads were created for WATH’s campaign, a lesbian and gay community in The Hague, the Netherlands, to promote 2 punk soul singer/songwriters known as RedNPink’s performance at the festival in 2013. 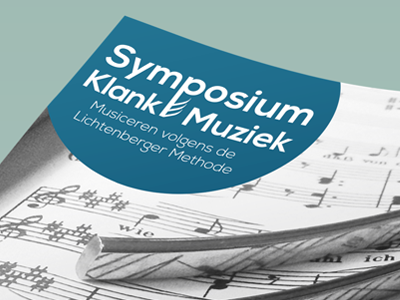 Symposium Klank Muziek or Symposium from sound to music is a talk addressed to singers, musicians, and music practitioners. This is an advertising project to create a flyer and a teaser design for the event Symposium ‘Van klank naar muziek’, in Den Haag, the Netherlands. 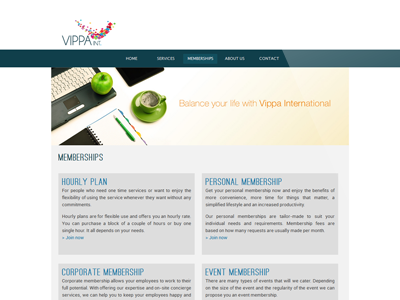 Vippa International is a high class concierge services located in The Hague, Netherlands. The client want to show on their new website that by using the services provided people can get benefit from the experience and save their valuable time. These are several banners I created for the client to display on their website. I love creating intricate patterns and my artworks are always inspired by the uniqueness of the diversity of tribes in Indonesia. I created this contemporary pattern collection inspired by the uniqueness of Indonesian Heritage, Avant-Garde, Art Nouveau, Art Deco style and geometric shapes. I used different techniques and highly experimental prototype objects that swing between classic ornaments and modernity. I have used some of the patterns to create handmade gift scarves and sell them through trade shows. I had a wonderful time doing this project and most importantly, I learnt so much about how rich and valuable traditions are throughout the making process. By treasuring awareness of the traditional Indonesian textiles and applying them to modern techniques, hopefully my artworks can open new opportunities in the textile & fashion industry internationally but also preserve the Indonesian cultural heritage. As part of my artistic projects, I created this collection inspired by the 1942 Casablanca movie. I wanted a design that incorporated the 40’s style in an ordinary wardrobe. 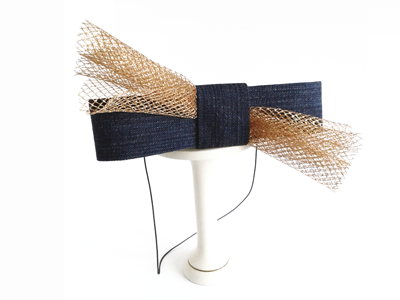 I was experimenting with denim fabric to create a wearable handmade hair accessory collection. The designs are casual yet classy and very neatly crafted. 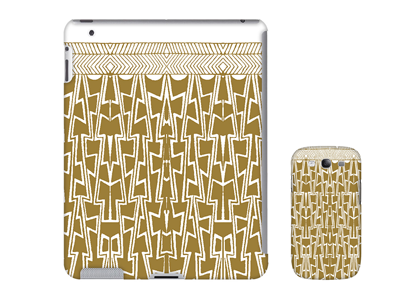 My great interest for contemporary design and my lifelong passion for fashion and lifestyle drove me to create a collection of design cases for electronic devices such as mobile phones, kindles, and iPads. The concept behind this collection was inspired by ornamental decoration from different tribes in Indonesia.